Hillman Insulated Staples are the best fasteners for securing electrical cable and wires. 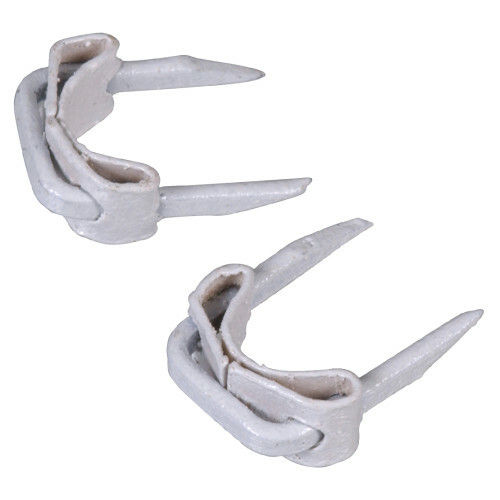 These metal staples are coated in PVC to help prevent arc faults in electrical applications. The insulation is color coded to match the appropriate cable. 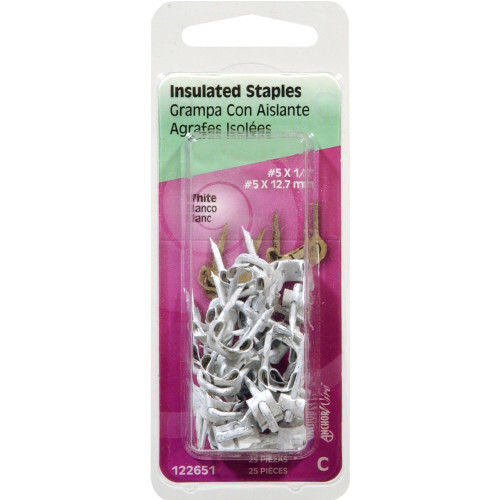 Staples offer sharper tips for easy starting, and are virtually oil-free for cleaner handling. #5 #5 x 1/2" #10 x 1/2"